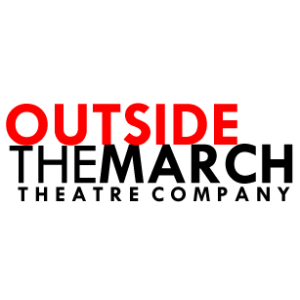 Outside the March was founded in 2009 by Co-Artistic Directors Mitchell Cushman and Simon Bloom, along with core Associate Artists Amy Keating, Sebastien Heins and Katherine Cullen. 1) IMMERSIVE: We offer full theatrical experiences—personal and immediate encounters that endure. 2) SITE-ENGAGING: We transform found spaces into playgrounds of performance, as well as unearthing new possibilities within traditional theatres. 3) NEW: We introduce local and international voices to our audiences—compelling stories that grapple with our here and now. 4) WIDE-REACHING: We are looking to captivate a wide range of individuals, especially audiences who might not normally find themselves in the theatre. 5) COMMUNAL: We forge resonant collaborations between artists of all levels of experience and across disciplines, as well as meaningful partnerships within our community. Since 2009, we’ve invited our audiences to play with us in kindergarten classrooms, parade with Queen Elizabeth along the Danforth, tinker in garages, congregate in churches, venture out on a 911 paramedic call, and to join us up onstage at the Royal Alexandra Theatre. Outside the March is proud to be a Company in Residency at Theatre Passe Muraille.